Democrats certainly have thin skin — they proved it with their decision to block Fox News from hosting one of their 12 upcoming presidential primary debates. According to recent reports, the Democratic National Committee (DNC) barred the network from hosting Democratic debates in 2020, claiming it is too closely aligned with President Trump. This move by the DNC is fairly ironic since the Democratic Party has kept a tight grip on the mainstream media for the better part of three decades. Especially since it’s eight-year love-affair with President Obama, reporters and anchors have become accustomed to routinely amplifying left-wing talking points and attacking Republicans. In the last two years alone, the media has repeatedly colluded with the Democrats to bully conservative voters, amplify politically-motivated hoaxes, publish misleading “fact checks,” and ignore stories that could undermine the liberal narrative. Just last month, prominent media personality Lara Logan warned that a vast majority of journalists in America lean to the left, creating an industry-wide bias that often obscures the truth. By blacklisting the largest news network in the country, the DNC is obviously trying to insulate its growing field of radical candidates from critical journalists who might expose the absurdity of their platforms. After all, one would hardly expect news anchors from CNN or MSNBC to ask the Democrats meaningful questions about the ongoing border crisis or the history of failure and despair wrought by socialism throughout world history. As a result of all of this, most Democrat politicians have precious little practice at responding to insightful, tough questions. Ultimately, I predict this move will hurt them. If Democrats want to be competitive in Wisconsin, Michigan, Pennsylvania, and other states where President Trump won in 2016, cutting out the nation’s largest news network is not a winning strategy. Relying on MSNBC and CNN is just going to get their candidates’ messages to voters in coastal blue states – who were likely to vote Democrat anyway. Frankly, I suspect the Democrats will shrink as a party because they are afraid to be on Fox. Regardless of whether Democrat Party leaders put their thumbs on the scale for a particular candidate again in 2020, their decision to blacklist Fox News shows that they don’t trust any of their candidates to withstand tough questioning. 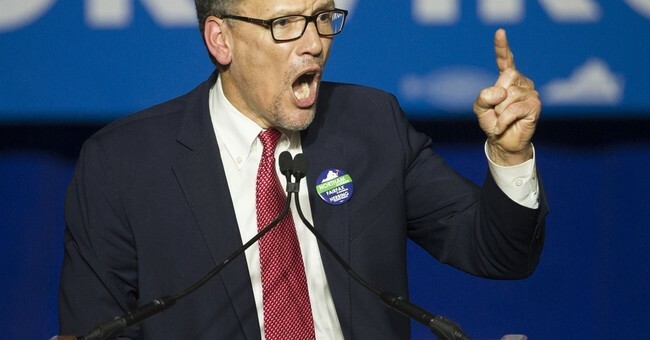 The DNC may be able to shelter its candidates from skeptical journalists during the primaries, but eventually, their nominee is going to have to leave the party’s carefully cultivated safe space and face President Trump. If the mainstream media won’t question or challenge the nominee’s radical agenda – the President certainly will. Then the American people will judge for themselves. Disclaimer: Newt Gingrich is a Fox News Contributor. Newt Gingrich, a Republican, served as House speaker from 1995 to 1999 and ran as a presidential candidate in 2012.